Sometimes you can’t find the right words together to say exactly what you need to say, in such times THE TRUTH TEXT will arrive just in time. Call the 1-800 number and answer a few questions related to how you feel and we’ll deliver those right words right to your phone, so you’re text message will hit your recipients heart and soul. Our professional staff has the writing and psychology training to make sure we deliver that special message. 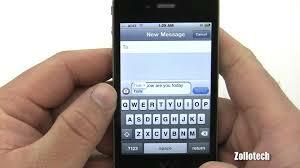 If you’re unsatisfied with the text respond no and we’ll send you an alternate version. “THE TRUTH TEXT” will receive income through the “ads” you will listen to as the text is being prepared and other waiting periods. You also will receive an add to your phone along with the special “Truth Text”. A text is a terrible thing to waste, it’s therefore time for “THE TRUTH TEXT”.